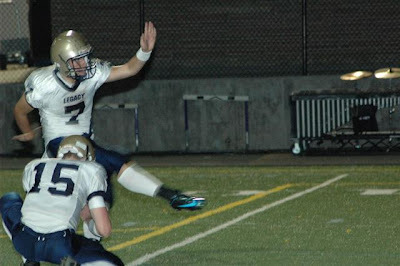 Legacy's Kip Smith set a new Colorado state record by kicking a 67 yard field goal. Even if it was off of a tee as a result of a free kick, 67 yards is 67 yards. The 6'2" senior has verbally committed to Minnesota.